Most eye pain occurs on the surface (cornea) of the eye. The cornea is one of the most sensitive tissues in the human body, so it’s no surprise that eye pain can be debilitating and interfere with everyday life. Pain can also occur in the eyelids, optic nerve or behind the eye. In addition to the pain, you may experience associated swelling, redness, sensitivity to light and more. It’s easy to identify whether or not your eye hurts, but not quite as easy to identify the cause. 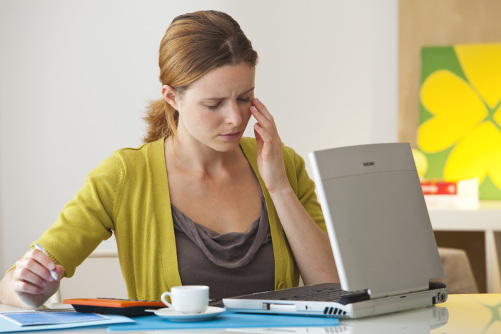 Here are eight common causes of eye pain and their solutions. Foreign bodies that become lodged in the surface of the cornea are a common cause of eye pain. Tiny particles of dust, dirt, sawdust, etc. can cause pain ranging from mild to severe, depending on the size of the particulate, the location on the cornea, and your level of sensitivity. Foreign bodies can often be rinsed from the eye naturally with tears, or with lubricating drops. But persistent foreign bodies require urgent attention from an eye doctor in order to prevent a corneal abrasion. A corneal abrasion is a scratch on the surface of the eye. These scratches can result from foreign bodies stuck in the eye, improper contact lens use or trauma. Generally speaking, corneal abrasions are not serious and usually heal within a couple uncomfortable days. However, in some cases, deep abrasions put you at risk of developing a corneal infection. If your pain doesn’t improve after a couple days — or worsens — you should seek medical attention as soon as possible. A corneal infection can result in inflammation of the eye and surrounding tissues, resulting in swollen eyelids, light sensitivity, discharge from the eyes, and an itching or burning sensation. Infections of the cornea can be bacterial or viral, and often result from deep abrasions or improper contact lens use (such as wearing them overnight). Corneal infections often require antibiotics to help reduce the symptoms and aid recovery. 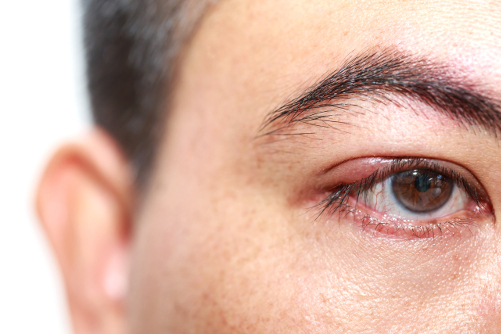 If you believe you have an infection, avoid contact with the eye and contact your doctor as soon as possible. 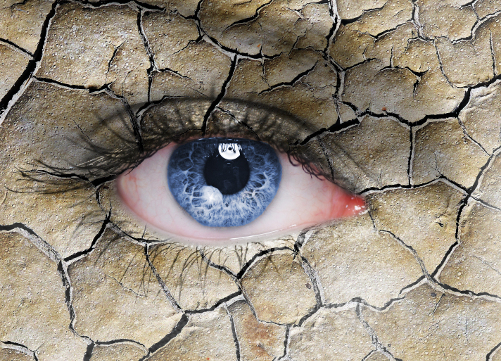 Dry eye might be extremely common, but that doesn’t make it any less uncomfortable. 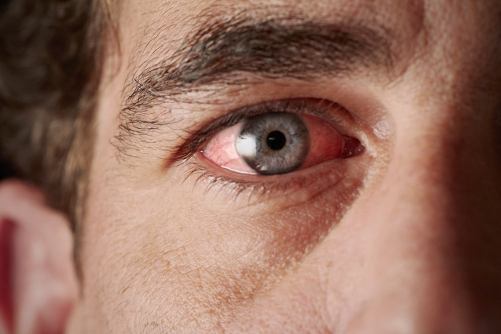 Itching, burning and aching of the eyes are common symptoms. 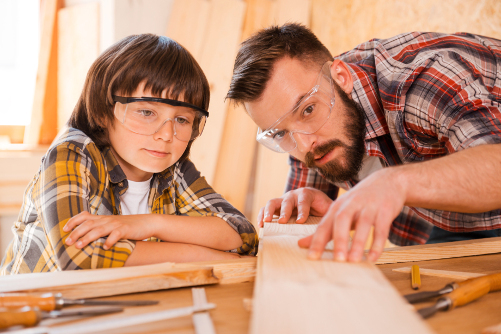 Dry eye can be a short-lived problem resulting from eye strain or environmental factors like dry, windy weather, or the condition can be chronic if you have issues with tear production. If you’re experiencing eye pain because of dry eyes, you can try over-the-counter drops to help lubricate and comfort the eyes. If the problem persists, you should schedule an appointment with an ophthalmologist to investigate the root cause of your dry eye condition. 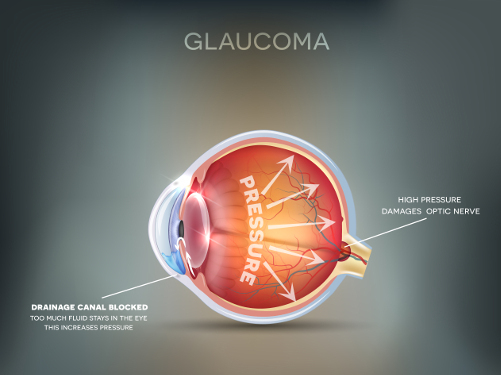 Glaucoma is an incurable age-related eye condition that affects the optic nerve — which is responsible for transmitting the things you see from the retina to the brain for recognition. Most cases of glaucoma progress asymptomatically until vision loss becomes apparent. However, acute angle-closure glaucoma (or sudden-onset glaucoma) develops rapidly and can cause serious eye pain in the back of the eye in the area of the optic nerve, resulting from increased intraocular pressure. There are no curative treatments for glaucoma, but if caught early enough, the symptoms can be managed to a certain extent. Acute angle-closure glaucoma requires immediate medical attention to reduce intraocular pressure. Styes are puss-filled lumps that form near or on the edge of the eyelid. They look similar to a small pimple and typically form on the outside of the eyelid. Also called hordeolum, styes are extremely painful and can cause inflammation of the eyelid that is tender to the touch. They can be contagious, so avoid direct contact. You may be able to relieve the pain by pressing a warm washcloth against the eye. Styes typically fade over the course of a day or two, but if you’re experiencing a persistent problem or are in extreme pain, contact your eye doctor for further evaluation. Inflammation of the eyelids (blepharitis) is a very common eye condition. Although it can cause eye pain, it’s typically not serious enough to warrant a visit to the eye doctor. Oftentimes it’s caused as a result of seasonal allergies or poor eyelid hygiene (such as leaving makeup on overnight). You might be surprised to learn that a sinus infection can cause eye pain. But it actually makes perfect sense. Sinus infections (sinusitis) cause an increase in pressure in the sinus cavities, which subsequently increases the pressure directly behind the eyes. This can result in serious eye pain. 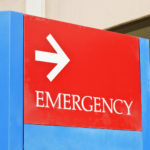 Antibiotics may be needed to treat the root cause of the infection, but are unlikely to provide immediate relief. Your doctor may suggest a decongestant or nasal saline wash to help relieve some of the pressure.